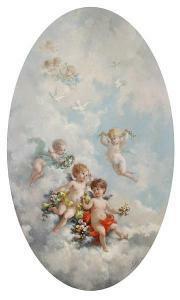 Find artworks, auction results, sale prices and pictures of Charles Augustus Henry Lutyens at auctions worldwide. 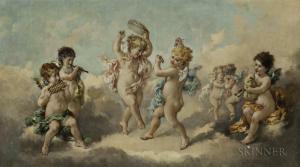 Description: Charles Augustus Henry Lutyens (British, 1829-1915) Cherubs Dancing and Playing Instruments Signed "Lutyens" l.r. Oil on canvas, 23 7/8 x 41 7/8 in. 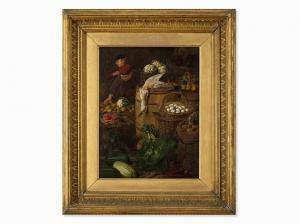 (60.5 x 106.5 cm), framed. Condition: Lined, retouch, paint losses to lower corners with surrounding areas of craquelure with lifting, surface grime. each 90 x 54.5cm (35.5 x 211/2in). 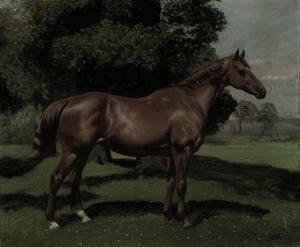 Edmond Byron, Coulsden Court, Surrey. 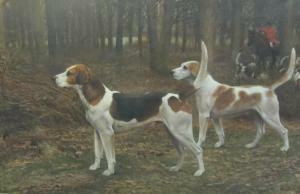 Ruby was a hunter owned by Edmond Byron (1843-1921), Master ofthe Old Surrey Pack.